Below are the agendas for current and past board meetings along with the approved minutes. Dates shown corresponds with the date the meeting occurred. The information and content contained at this website is for informational purposes only, and is subject to change from time to time, without notice. It is provided by the Palmdale Water District (the “District”) for the convenience of its customers and others, and for no other purpose. The District makes no representations or warranties of any kind, express or implied, regarding the completeness, accuracy, or reliability of any content found at this website, or regarding any products or services that may be found therein. The District will not be liable for any loss or damage, including, without limitation, indirect or consequential loss or damage, in connection with any use of or reliance upon any content found at this website. 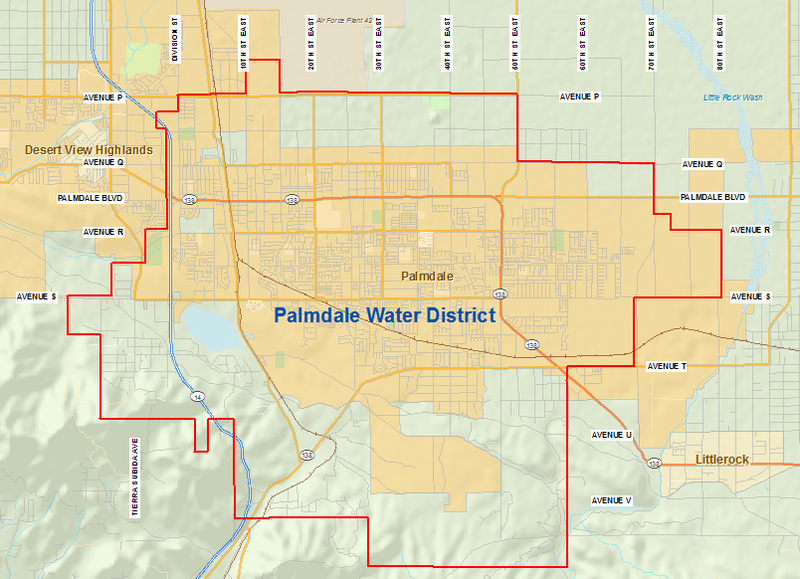 The Palmdale Water District Board of Director meetings are held twice a month on the 2nd and 4th Monday of each month at 6:00 p.m. at the District’s office at 2029 East Avenue Q, Palmdale. The public is always invited to attend.